Xiaomi officially introduced the MIUI 10 global beta version at an event taking place in India. However, there were only supported devices that are compatible to get this beta version. 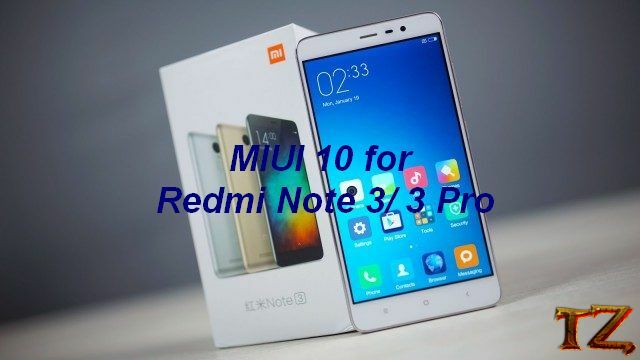 Although it’s out of luck for all Xiaomi Redmi Note 3 and Note 3 Pro users as their device was not in the list, the does not mean you cannot get the MIUI 10 on your phone. If you are looking for an MIUI 10 ROM for your Redmi Note 3/ Note 3 Pro, then this post today will help you. We are showing you a new MIUI 10 ROM for Xiaomi Redmi Note 3 and Note 3 Pro. Let’s see! Your phone must already have been unlocked bootloader.